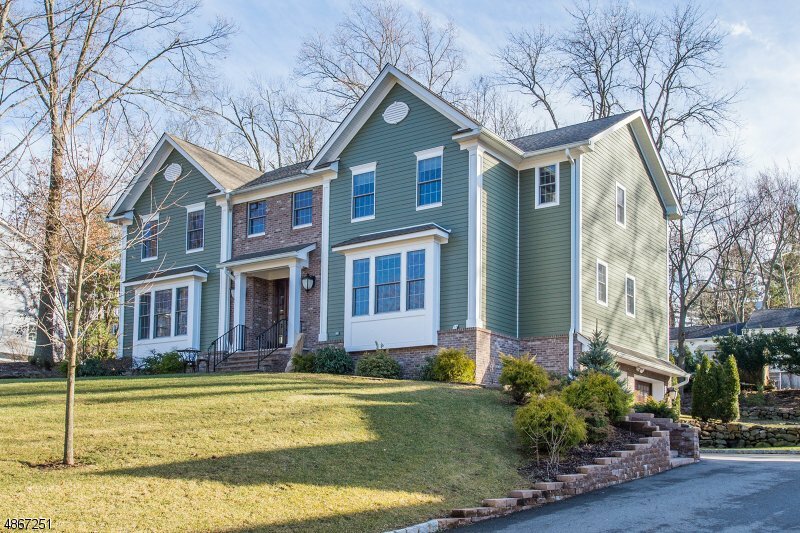 Elegant Colonial home built in 2014 with impeccable attention to detail. 2-story Foyer with wrap around staircase flanks a gracious sized Formal Dining Room with rich wood trim details and Coffered Formal Living Room ceiling. Gorgeous gourmet Eat-in Kitchen features Omega Cabinetry topped with granite, & Top End SS Appliances. Add'l highlights: Center Island, built-in desk, wine refrigerator, 2nd prep sink and sliders out to the patio. Impressive Family room includes gas fireplace with granite surround. A full bath with custom cabinetry & walk in pantry off kitchen. Grand size Master with tray ceiling, 2 huge walk-in closets & luxurious Bathroom. 3 Add'l Bedrooms, Full Bath and Large Laundry Room. Recreation Room with projector and speakers, Full Bath & Mud Room next to oversized 2 Car Garage-Amazing Home!